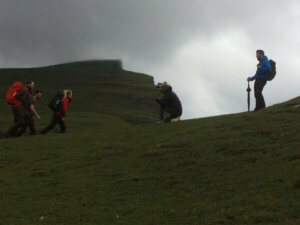 In July 2017, the company Cotswold Outdoor clothing decided to film a new commercial for their Autumn range of clothing in association with the Fjallraven outdoor brand. 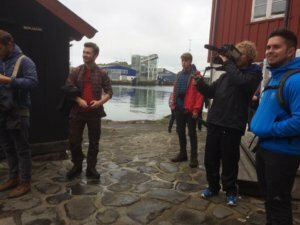 They chose Heimdal Tours as their preferred tour company to show them some of the “off the beaten track” locations for their video shoot. 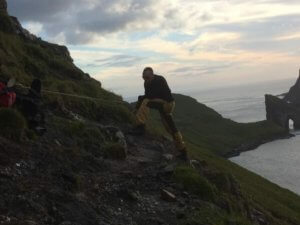 So, armed with video cameras and the latest drone cameras and a cool Land Rover pick up, supplied by Heimdal Tours, we set off to explore the awesome natural backdrop for any production, that is the Faroe Islands. Please see below the finished commercial, watch…enjoy…envy…be inspired, then book your next trip to the Faroe Islands with the company that goes to the places others only dream about!